Minotti is a world famous italian designer furniture brand who are famed for there amazing designer sofas.. I've selected just 2 of there sofas! "Minotti have been involved in manufacturing armchairs and sofas for some 60 years: no doubt this means quite a long time, on which we have relied to strengthen our position in an increasingly demanding market." 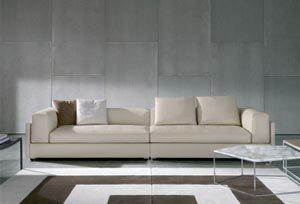 Such a contemporary sofa perfect for the modern/contemporary home of flat with a large living space! 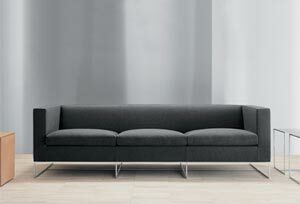 Well what about this slick simple sofa called the "klee" This in my opinion is far more contemporary than the alison. The love the way the cusions look so round due to the shape stright side..